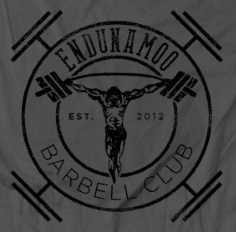 Endunamoo Strength & Conditioning: No Shirt, No Shoes, Should I Run? 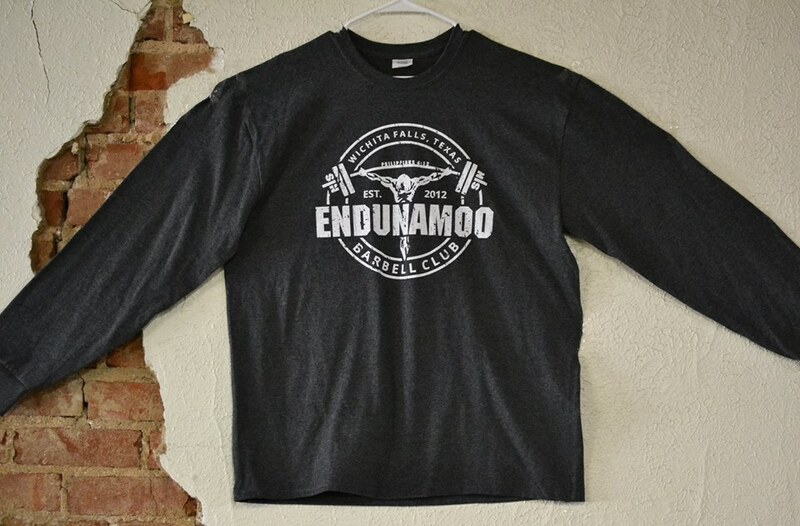 No Shirt, No Shoes, Should I Run? As stated in the previous article, I do not run except on rare occasions and if I do its sprints. But i finished the article with a promise to talk about barefoot running. From some of the studies that I had seen before, the shoes suggested are not as good as they proclaim. The shoes promise to reduce pronation for a more stable run. However studies do not agree with their bold claim. However, that does not mean we should throw these shoes away or give up on bare foot running. Barefoot running has its origin in the book, "Born To Run." The author of the book basically claims that because our ancestors once ran everywhere barefoot that we too should run with naked toes. Some people hated it and claimed it as false [usually researches funded by shoe companies] and some took it as gospel. Well what should you do? That depends. A study conducted by Lieberman took groups of people who: had never worn shoes; always worn shoes; used to wear shoes; and used to be barefoot, and examined their gate [foot strikes and stride motion]. What was discovered is that runners wearing shoes struck on the heel [as coaches taught, heal toe running] while barefoot runners struck more mid foot [balls of their feet]. Striking mid foot is beneficial because it reduces the force of impact. 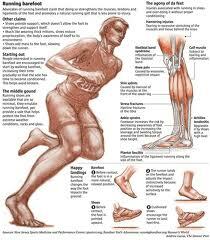 Running heel first is 2-3 times more forceful even while wearing shoes. God made us right! 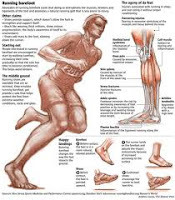 When running barefoot [after our bodies adjust to the natural running] we strike midfoot and reduce the force, therefore reducing possible stress related injuries. Another study conducted by the American Academy of Physical Medicine and Rehabilitation saw that running shoes may actually increase undesired torque on the hip, knee, and ankle. 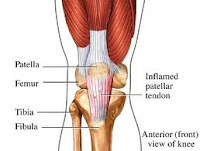 Those expensive running shoes your sporting may be causing your tendinitis! For Squatters and Dead lifters out there, some studies suggest that by being flat footed [without a supportive arch] we have an increase of strength. We have a more natural push without awkward joint torque and a more natural flow. I used to squat barefoot but now i've transitioned to flat shoes [my vans]. Along with the reduced injury that comes with running barefoot, we also see a possibility in increased calorie burning during transition. Our body will have to adjust to a different strike, along with your ankle adjusting to a more awkward terrain. Your feet will adjust to make running more efficient and less painful [something our shoes took away]. Ease into bare foot running, because your going to heel strike at first and that will be uncomfortable. You'll also have to develop calluses. DO NOT RUN HEEL TO TOE. Running heel to toe while bare foot is a stress fracture waiting to happen. If you have the money and don't care, go ahead and get minimus shoes or the barefoot imitator's. What would be ideal is performing fartlek's [last post talks about it] or Max Effort [ME] runs while your feet are naked. 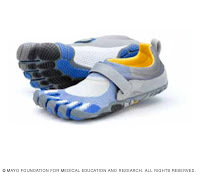 Best for Calorie burning [catabolism] would be switching between bare foot and shoe, 1:1 ratio. If you fall in love with no shoes than just run with no shoes, if you hate it don't do it. Just remember GOD GOT IT RIGHT!